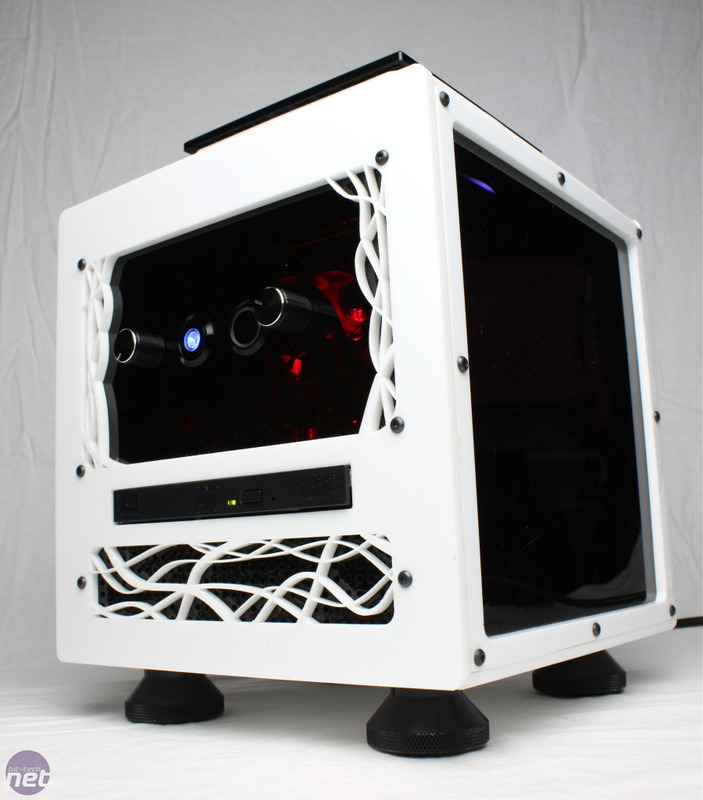 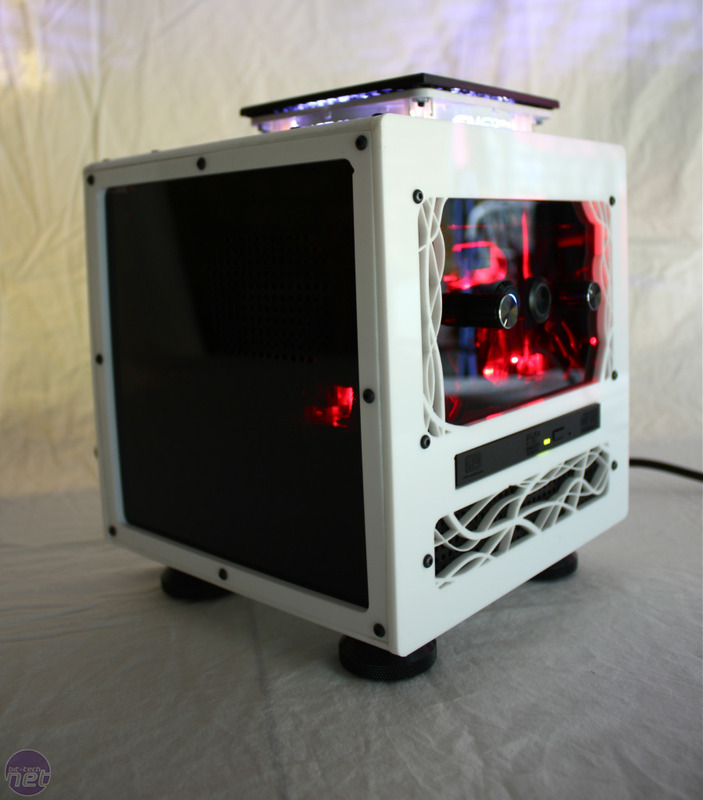 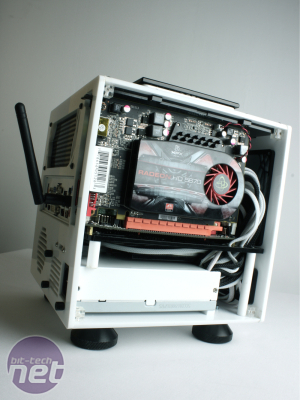 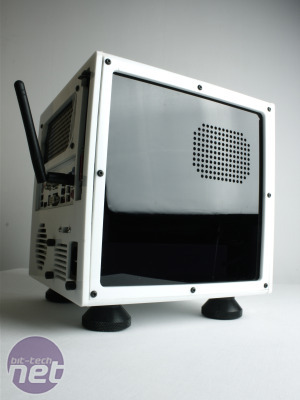 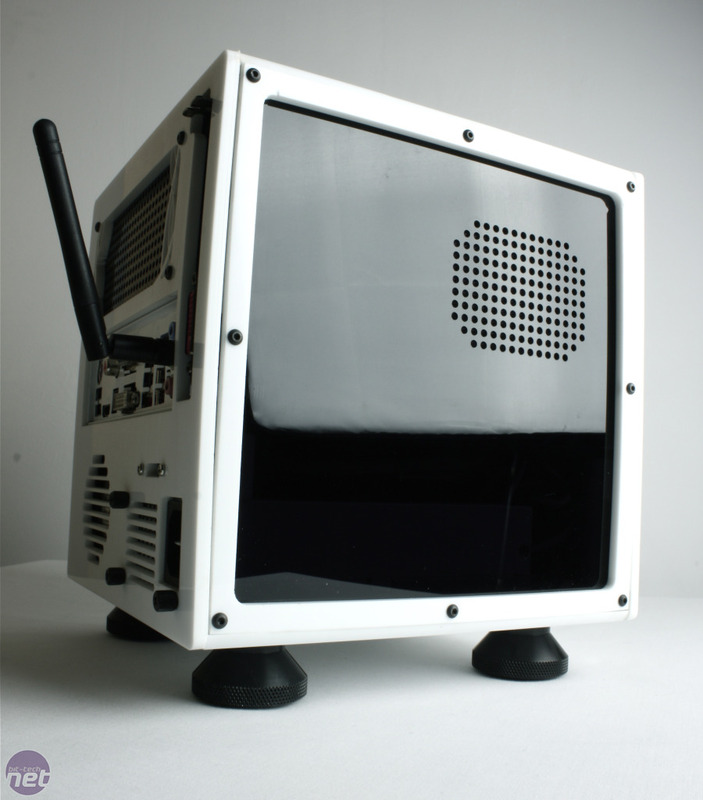 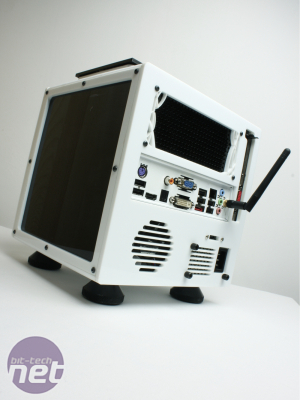 Oliver Woodings' MiniMe is one of the smallest PCs we've ever seen. 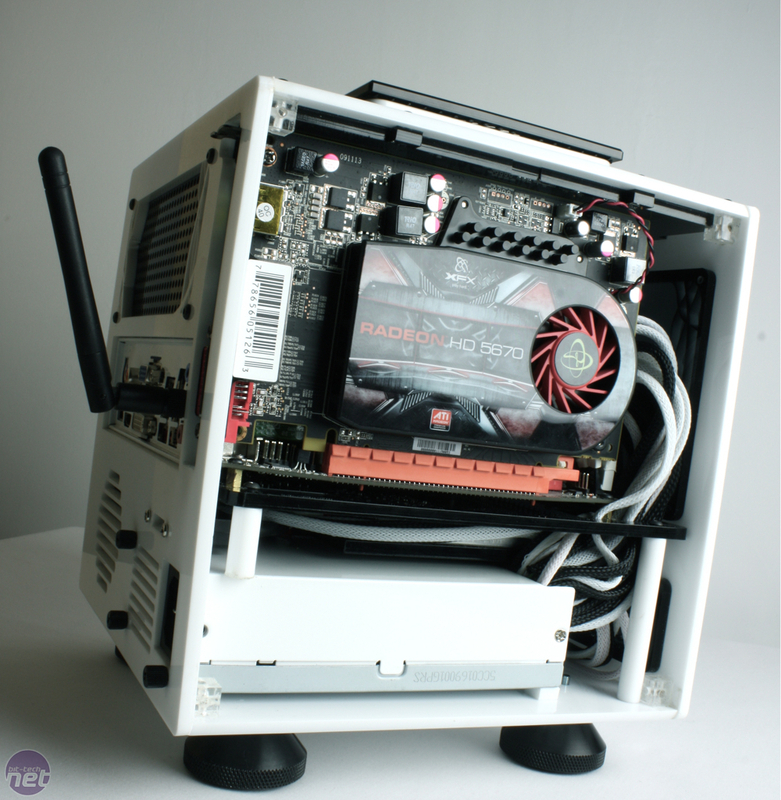 It measures just 20cm along each side, but still manages to cram in a complete water-cooling system, a quad-core CPU, 4GB of RAM and an AMD Radeon HD 5670. 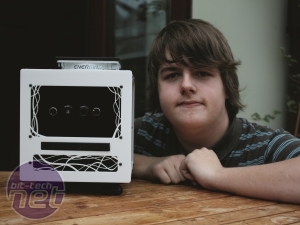 Even more remarkable is the fact that, prior to making MiniMe, Oliver (known as oliverw92 on the bit-tech forums), had next to no experience in building PCs or water-cooling them. 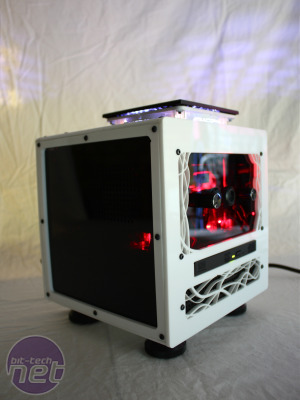 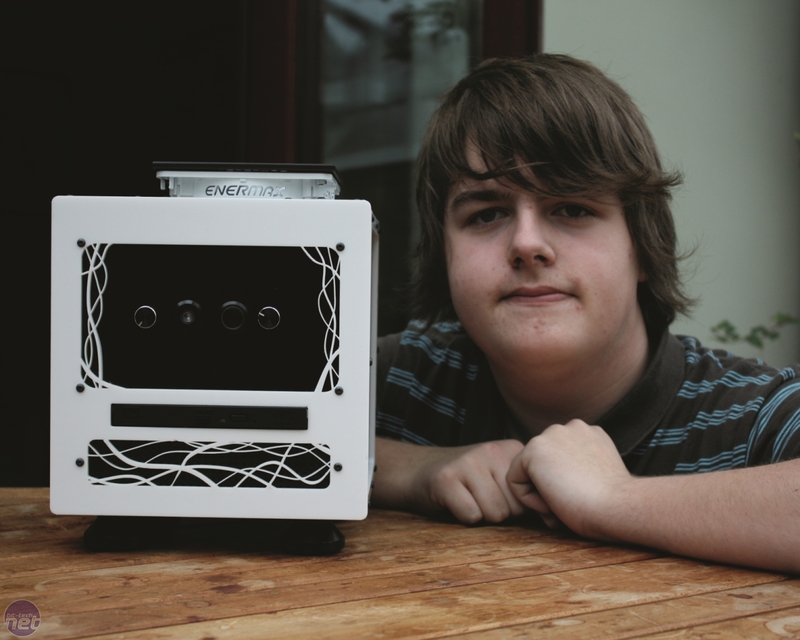 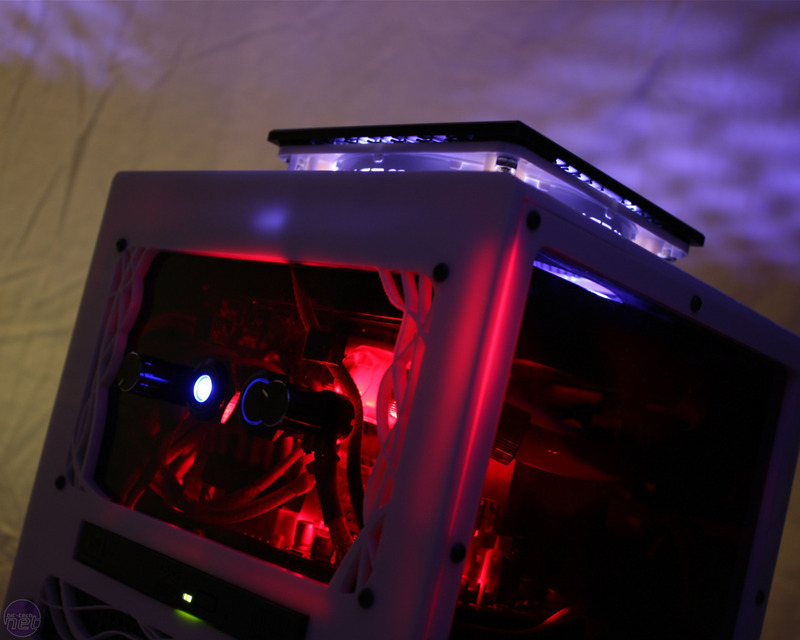 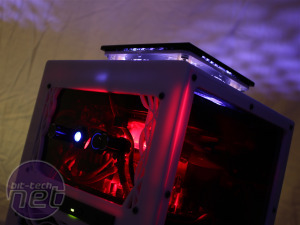 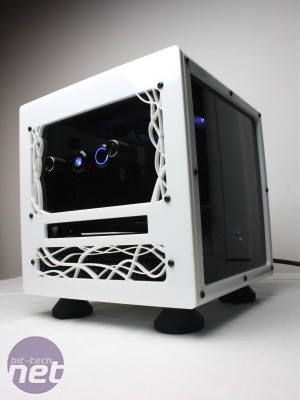 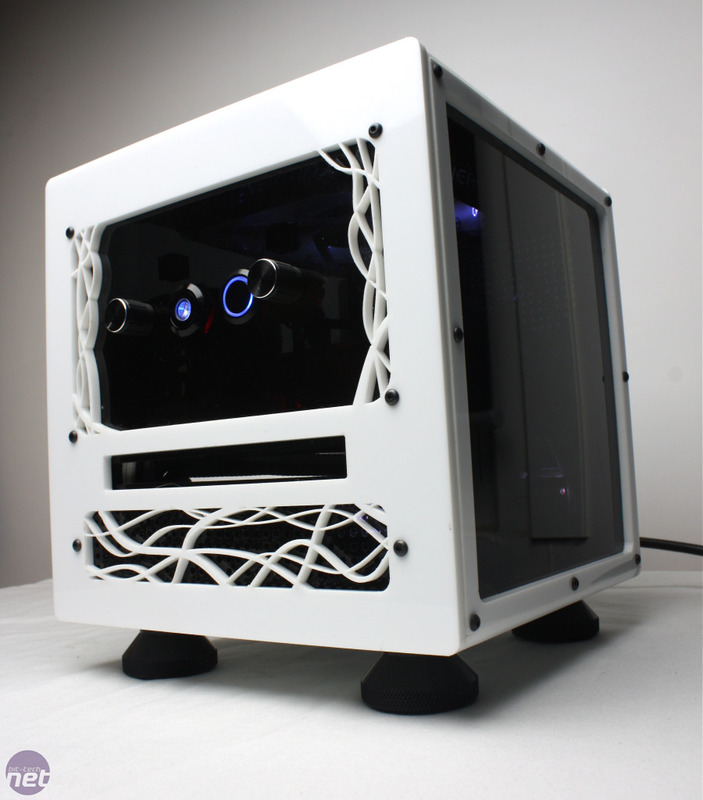 Having overcome issues with fitting a PSU into the case's tiny dimensions, he proceeded to laser-cut the intricate side panels, and even made his own fan controller. 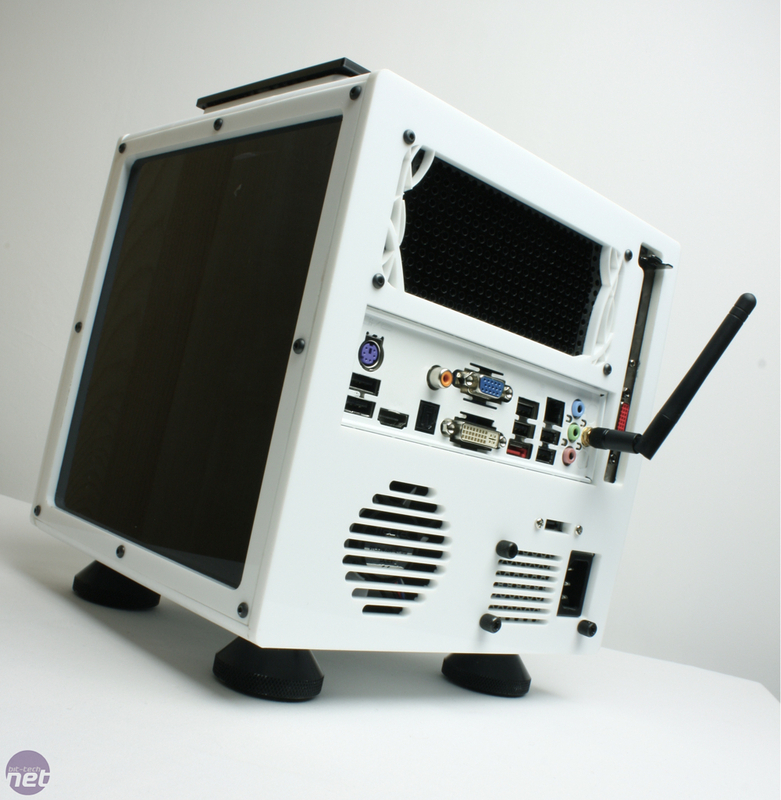 Despite a leak in the cooling system threatening to spell an end to the project, MiniMe was successfully completed earlier this year.